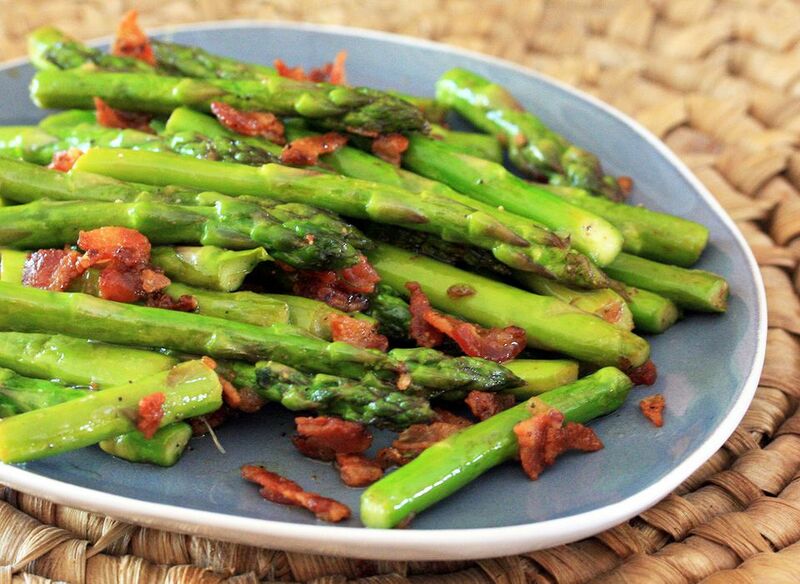 This Asparagus recipe is a delicious treat for bacon lovers. Red onions, dijon mustard, white wine vinegar, salt and pepper combine to add a depth of flavor to fresh asparagus. Cook bacon until crisp; remove to paper towels to drain. If desired, remove some of the grease from the pan, leaving a tablespoon or two. Add onion and asparagus to the grease left in the pan and saute over medium-low heat until asparagus is just tender. Transfer the asparagus and onion to a serving bowl. Add the bacon and toss with the mustard and vinegar. Add salt and pepper, to taste.